The light-blue-greyish hues of aquamarine and diamonds in this ethereal halo ring in 14k white gold are what dreams are made of. 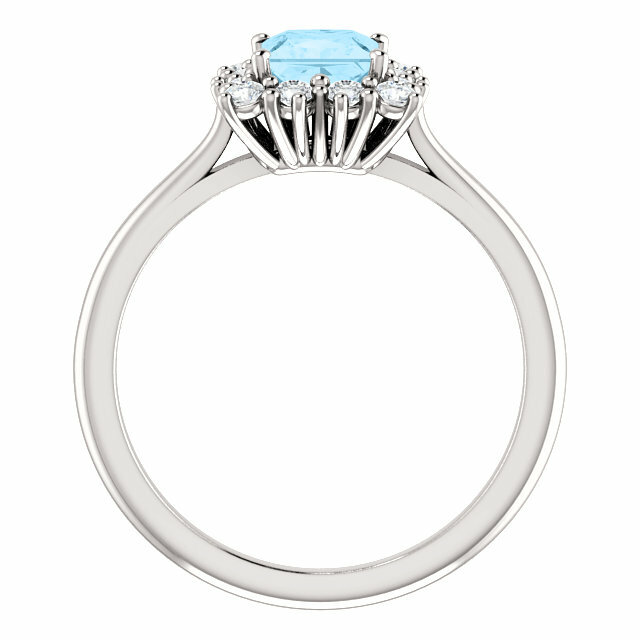 Set with an A rated princess-cut 5mm authentic aquamarine gemstone and surrounding by a halo of 12 diamonds weighing a total of 0.36 carats (just over 1/3 carat). 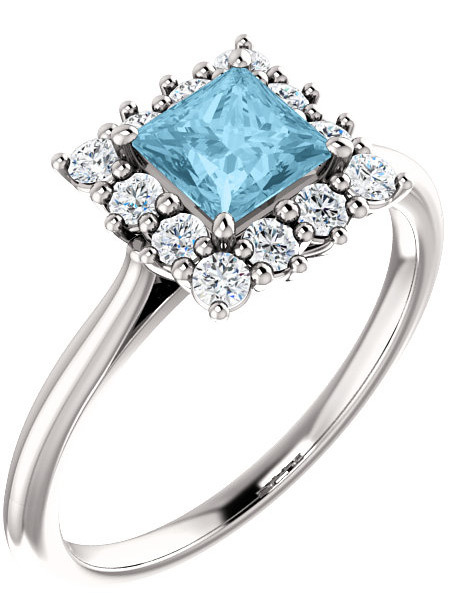 The diamonds are a high G-H Color, SI1 clarity and sparkle beautifully alongside the aquamarine gem. The ring is available in sizes 4.5 - 9 for women. Wear this heavenly beauty by itself or turn it into a bridal engagement ring set with our matching band, shown below. 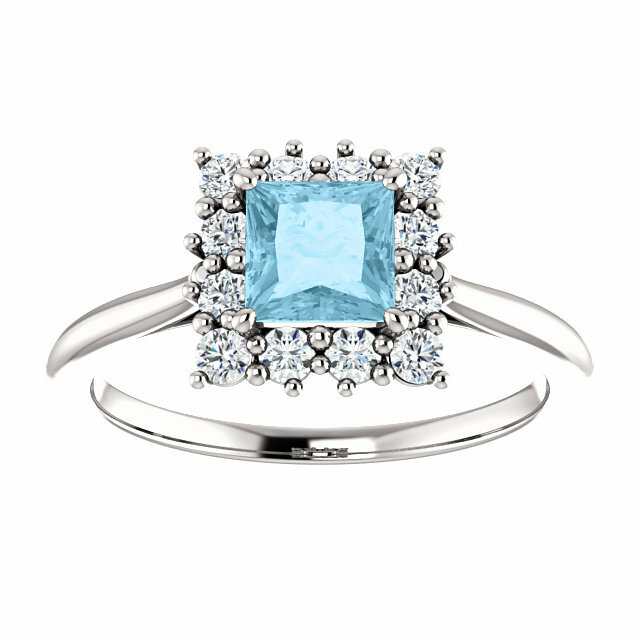 We guarantee our Princess-Cut Aquamarine and Diamond Halo Ring, 14K White Gold to be high quality, authentic jewelry, as described above.